In central part of Almaty there is the one of the favorite places of residents of “Southern Capital – the 28 Panfilov heroes Park, where many celebrations and festivities take place. It appeared almost simultaneously with the foundation of the city, in seventies of XIX century. For more than age-old history monuments to world War Second, various buildings were erected here. As the park was laid out in the site of cemetery it was named Staro-Kladbischenskiy. A little later, it was renamed the City Garden. In 1899, this park was called "Pushkin's Garden", in connection with the 100th anniversary of the great Russian poet A. Pushkin. Then it was called the Park of Fallen Fighters for Freedom, then - the Park of Federation, and in 1942 it was renamed the Park named after the 28-Panfilov Heroes, died defending Moscow from the advancing enemy tanks. Today, this park occupies the area of 18 hectares and is buried in the shade of trees. On its territory there is the Ascension Cathedral – the wooden 1907 building with the height of 56 meters, which survive the powerful 10-magnitude earthquake without any damage. 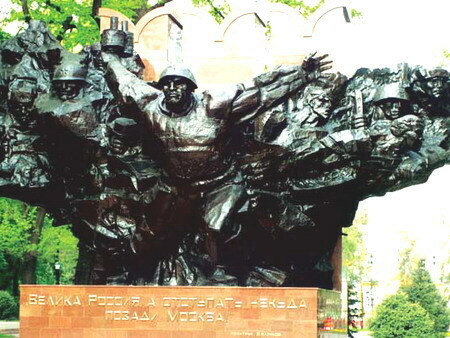 Not far from the church there is the Memorial of Glory, on which the images of Panfilov soldiers standing up staunchly for wall of the Kremlin are depicted, as well as the images of soldiers giving the oath of defenders of the motherland and the soldiers, sounding the victory. The Memorial of Glory is ended by Eternal Fire. In addition, in the park there are monuments to General Panfilov and Kazakh hero Tokash Bokin and also the Officers house and the Museum of Musical Instruments. If you are in Almaty, do not miss the chance to visit this beautiful park.